Ash Wednesday- activities, coloring, crafts, games, puzzles, quizzes, etc. Lent- activities, coloring, crafts, games, puzzles, quizzes, etc. *This month’s special events are: St. Joseph, Husband of the Blessed Virgin Mary and The Annunciation of the Lord. Please look below because I have quite a number of activities for you to check out. 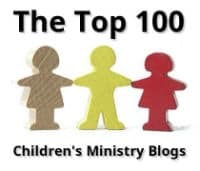 catholicicing.com- Lots of recipes, activities, crafts and coloring pages posted! Mary and the Angel- lesson plan for 1st grade on up with Objectives, Review, Vocabulary Words, Bible Story with questions, Activities, Crafts, Games, Snacks, Puzzles/Mazes/Worksheets, etc. Jacob’s Ladder- Just make the angel that is in this craft using cupcake liners and construction paper. You can also make the angel into a magnet by putting sticky-backed magnets on the back of the angel. (Crafts from Your Favorite Bible Stories by Kathy Ross, pages 16 & 17). Christmas Angel- A cute craft of an angel that is made from using the child's handprints. (From The Hands Of A Child by Anthony Flores, page 25). *Be sure to check out Gospel for the Mass Year B page right below the header for other days that you need Gospel for the Mass activities. Disclaimer: The posts below contain links to other websites and the content of these sites are evaluated before they are included. These websites can change without warning making links inactive and/or the content altered. We have no control over other websites and we are not responsible for the content that they post. catholicmom.com- Scroll down to the date for Coloring Page, Mass Worksheet, Crossword Puzzle, Word Search, etc. catholickidsbulletin.blogspot.com- Download a FREE bulletin to help your kids learn more about our Catholic Mass. Each week's bulletin contains coloring pages for a saint and activities based on the Gospel. The coloring pages may also include a maze, dot-to-dot, find the picture, and many other activities. 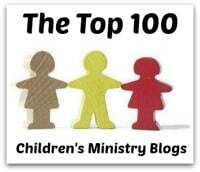 ministry-to-children.com- Lesson: Jesus Lives, No Doubt About It, Now Tell all About it! calvarycurriculum.com- Thomas Doubts lesson #241 with memory verses, circle the correct words, true or false, fill in the blanks, puzzles, and color sheets. 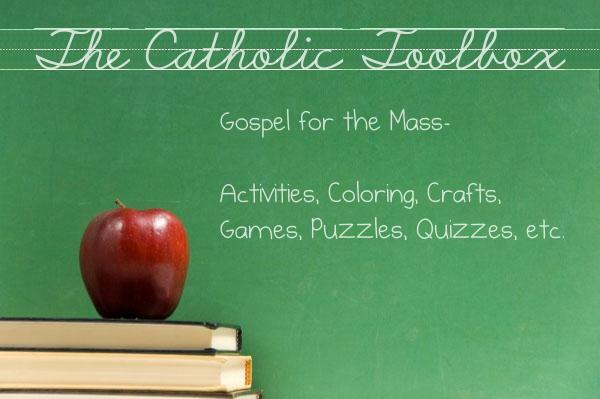 The Catholic Toolbox- What Can Teens Do For Gospel For The Mass Activities? Introduce craft: What was Jesus nailed to? Take out the Judas cards and play one of these games. Introduce game: Who wouldn't believe that Jesus was alive until he saw the marks of the nails on Jesus' hands and feet, and touch the wound in Jesus' side? Directions: A student is picked by the teacher to play the part of Thomas. He or she will sit in a chair with their back to the class. A large nail is put under the chair. While Thomas is turned around with his or her eyes closed, the teacher will choose a student to sneak up and take the nail and hide it somewhere on his person. When this person is ready, then everyone will say: “Doubting Thomas, where is the nail?” The teacher will then say, “Does _____ have it?” (This student may or may not have it). Thomas will then stand up and turn around. Will Thomas doubt what the teacher says or will he believe the teacher? If Thomas believes the teacher, he will say, “I believe _____ has it.” Or he will not believe the teacher and guess who might have the nail. Whoever has the nail is now Thomas. Introduce activity: How do we know what is real or true? Two fun activities to emphasize the story Doubting Thomas. Directions: Set up a relay with two teams (if you have a lot of students, have more teams each with a box with snacks inside). Place snack boxes at another point in the room for each team to run for. Do not give the students any hints about what is in the boxes. The first student in line runs to the box, carries it back to his team and gives it to the next team member in line. This player funs it back to it’s starting point and leaves it there. The player returns and goes to the end of his team line. Repeat until everyone has had a turn. calvarycurriculum.com- Peter and John Visit Jesus’ Tomb (John 20:1-10) lesson #239 with memory verses, circle the correct words, true or false, fill in the blanks, puzzles, and color sheets. The Catholic Toolbox- Easter lesson for Pre K – K with: Objectives, Word Wall, Bible Story with questions, Songs and/or Finger Plays, Activities, Crafts, Games, Snacks, Coloring/Puzzles, etc. The Catholic Toolbox- Easter lesson for 1st Grade on Up with: Objectives, Review, Vocabulary Words, Bible Story with questions, Activities, Crafts, Games, Snacks, Puzzles/Mazes/Worksheets, etc. sermons4kids.com- He is not here, he is risen! dltk-teach.com- The Life of Jesus mini book with images that children can color and simple, repetitive words that early readers should be able to read themselves. This particular one tells the story of Jesus' life using simple words. The Empty Tomb- A cute craft that the children will get to "roll the stone away" on Jesus' tomb to retell the story of the resurrection. Even though this comes from a preschool craft book, it is appropriate for older children to do. (Preschool Christian Crafts by Linda Standke, page 57 & 58). Butterfly- A butterfly is made from using the child's handprints. The butterfly represents how the caterpillar changed and became a butterfly and received new life. (From the Hands of a Child by Anthony Flores, page 40). Plastic Bag Butterfly- A beautiful magnet butterfly to represent new life. (Crafts to make in the Spring by Kathy Ross, pages 52 & 53). freepreschoolcrafts.com- Plastic Bag Butterfly- Make this butterfly according to the directions or use a painted clothes pin for the body that has googly eyes glued on it. Gather the plastic bag together at the center and slide it between the clamps of the clothes pin. Shape some pipe cleaner into antennae and glue the center of the pipe cleaner between the clamps of the clothespin. You can make this into a magnet by putting a sticky magnet on the back of the clothespin. Resurrection Story Wheel- Children turn their story wheel dial to retell the Resurrection of Jesus story they learned over and over again. Even though this comes from a preschool craft book, it is appropriate for older children to do. (Preschool Christian Crafts by Linda Standke, page 37, 38, 39, 40, and 42). Jesus Is Alive! game- A fun and simple board game for younger children that reviews the story of Jesus coming into Jerusalem to his Resurrection. (Super Bible Game Book by Linda Standke, page 64 & 65 for game board and page 55 for directions). Introduce game: What was rolled away from the tomb where Jesus laid? Directions: One student is picked to be “It”. All the students (except "It") put both of their hands together and form a cup with just a little hole up on top. The teacher walks around and pretends to put the stone in someone's hand. One student will actually get the stone. The student who is “It” is then asked by the teacher, "Who's got the stone?" Whoever has the stone is "It". (Game is like “Button, Button, Who’s Got the Button?). You Can’t Keep Jesus Down- Your children will discover that even thought people tried to keep Jesus in the grave, they couldn’t; just as Jesus said. (The Encyclopedia of Bible Games for Children’s Ministry, page 148). These file folder games all have a fun Easter theme. You'll find games for all ages and abilities that can easily be adapted for special needs student. first-school.ws- He Has Risen puzzle craft- Children color then make an easy puzzle that they can put together. Note: You can make these cookies below the night before and have the students make another batch during class and seal up the oven. While the students are doing another activity, you can remove their cookies and add the batch you made the night before.